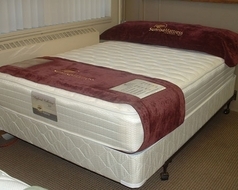 Our mattresses are made in the Pacific NW, with the finest components. 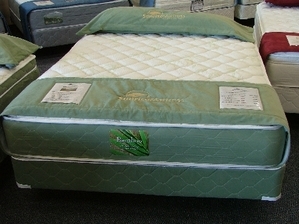 Our supplier is a mid-sized manufacturer of a wide variety of innerspring and foam mattresses. Mattress products range from economical mattress sets to the most luxurious high tech foam and innerspring mattress sets available. The 300 Box Top is our standard mattress. We do have available many styles and grades of mattresses from which to choose, including the Bamboo mattress pictured on the left. Please inquire for more mattress options!